What do the Wynekens have to do with the English Romantic poet, Lord Byron? And what do they have to do with the beginnings of computer programming, which surprisingly go all the way back to the first half of the 19th century? . . . Not much, really. But it turns out there actually is a connection, albeit a very indirect one as the title points out. A man named Friedrich August Crämer serves as the pivot point. August Crämer was born on May 26, 1812 in Bavaria. He died on May 3, 1891 in Springfield, Illinois and is buried there in the same cemetery as Abraham Lincoln. When August was 18 he enrolled in the university at Erlangen to study theology and classical philology. While there, he got into trouble for his political activity, calling for such dangerous things as liberty, democracy and a unified Germany. In 1833 he took part in an armed uprising that failed, and spent several years in prison because of his involvement. After he was released he figured that with his record he would never be allowed to become a government employee, such as a pastor. Thus when he continued his studies in Munich, he dropped theology and concentrated on languages. It was during these years that he became an ardent Christian. After he finished his studies, he worked as a tutor for a noble family in Saxony. After a number of years there August felt it was time to move on. His Saxon employer procured for him a new tutoring job in England with the family of Lord and Lady Lovelace. This Lady Lovelace was no other than Ada Lovelace, whose name is still well-known in some circles. She was the only legitimate daughter of George Gordon Lord Byron, the above-mentioned poet. However, she never knew her father because he left his family when she was still very small. Her parentage, however, is not her only claim to fame. 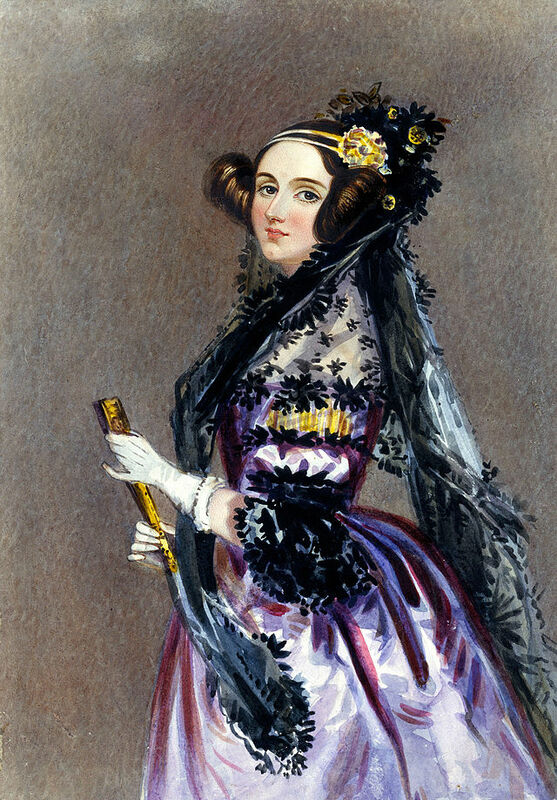 Ada Lovelace is commonly referred to as the “first computer programmer”. Her friend, mathematician Charles Babbage, had devised what he called an “analytical engine”. An article describing this new concept – the analytical engine was sadly never actually constructed by its inventor – was published in French and Ada, at Babbage’s request, translated the article into English. In one of the annotations that Ada added to the translation, she described an algorithm for computing Bernoulli numbers using the engine. Since this engine had all the basic features of what we now call a computer Ada’s algorithm can be considered a program of sorts, thus making her the first programmer. Unfortunately August Crämer’s orthodox Christian beliefs clashed with Lady Lovelace’s less conventional opinions and he had to leave the family’s service. After a brief stint at Oxford, where the religious beliefs of the people he dealt with were again incompatible with his own, he made the acquaintance of Wilhelm Löhe. Löhe had read FCD Wyneken’s pamphlet “Die Noth der deutschen Lutheraner in Nordamerika” (“The Distress of the German Lutherans in North America”) and had taken upon himself to provide support for Lutheran missionary work in America. In addition, he had worked out plans to send missionaries to the Native American Indians. Löhe appointed August Crämer to be leader of this mission and in 1845 Crämer and a small group of helpers crossed the Atlantic bound for Michigan. There they founded the town of Frankenmuth and began their, unfortunately short-lived, work with the Ojibwe / Chippewa Indians. We won’t follow the rest of August Crämer’s life except to note that he went on to teach at the seminaries of what would become the Lutheran Church, Missouri Synod. When the time came, his step-son, Heinrich, studied at the seminary in St. Louis to become a pastor, and after his seminary years were completed Heinrich went to Cleveland, Ohio to serve as vicar. Here, finally, we find the culmination of our quest to tie the Wyneken name to Lord Byron and to the beginnings of computer programming: It was in Cleveland in 1866 that Heinrich Crämer met his future wife, Sophie Wyneken, who was living there because her father, FCD Wyneken, was pastor of the church that Heinrich vicared in. I’m sure my readers will agree that this was a long and convoluted path, but I hope that they have found this excursion at least somewhat entertaining.